The term has quickly come to an end and Bosco Academy is now in the final few days of examinations before Easter break commences. This means that all of the work we’ve done over the course of the last three months is now being evaluated. 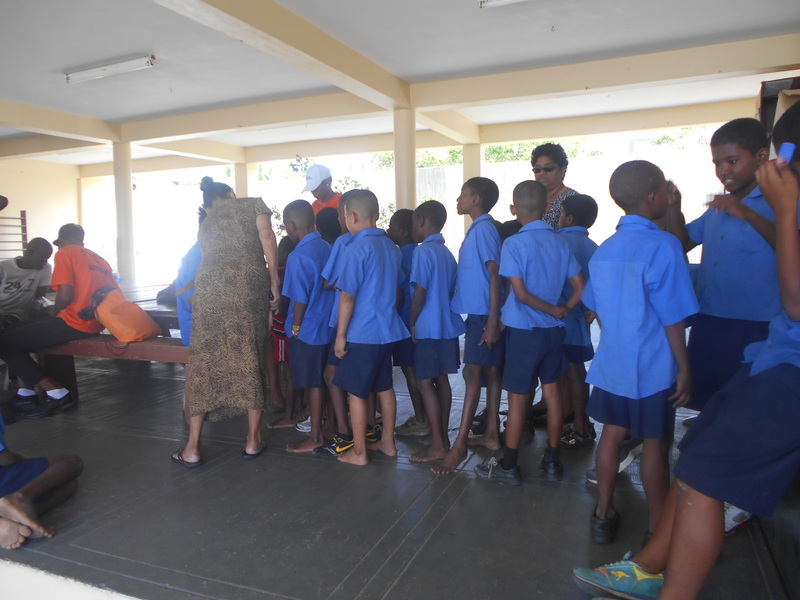 On Friday morning, instead of kicking the day off with one of the many exams we need to complete before the end of next week, the school started the day off by giving tablets (pills) to each boy to help them fight off worms that may be living in their bodies. The health center from the village the orphanage is in sent three workers over to us and we had to line up our classes and watch them as they took their tablets. Thankfully, there wasn’t very much complaining, but it was a strange way to start the day. The tablets became comical a few hours later when all of the boys started putting their heads down on their desks and laying down in their seats. 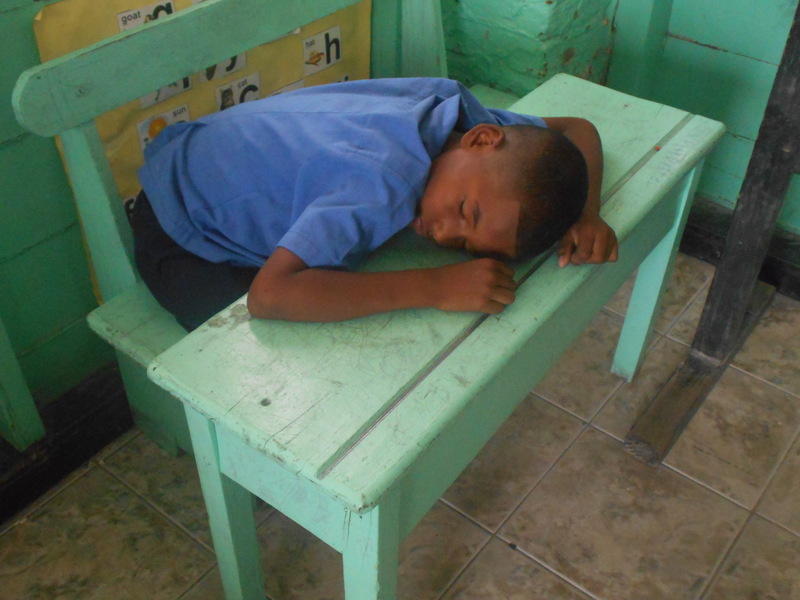 I’ve been assigned to proctor the grade 1 exam and they didn’t have any testing yesterday morning, so I was more than happy to just watch them slowly fall asleep instead of having to keep them quiet while the rest of the school tested. 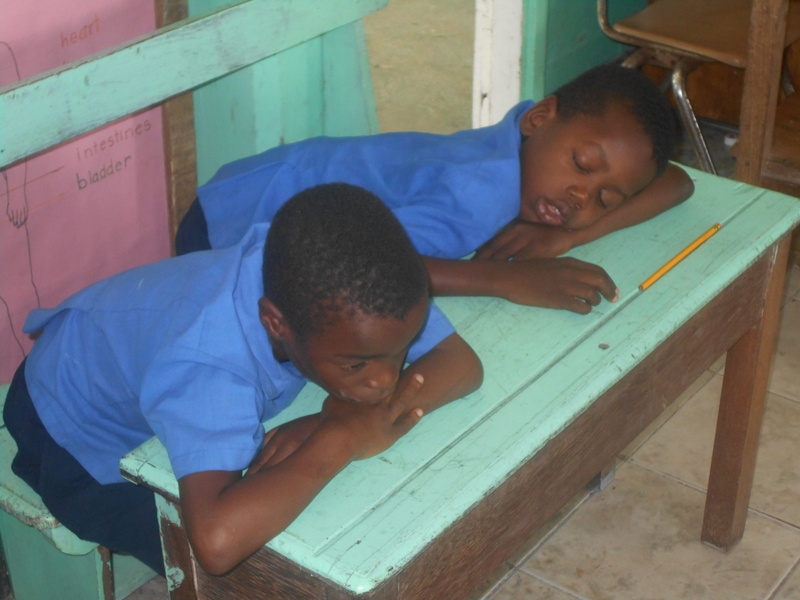 The next thing I knew, the whole school was falling asleep and blaming the tablets for making them so tired. This entry was posted in Guyana, South America and tagged exams, school, sleep, sleeping in school, sleepy, tablets, termly examinations, testing, tired, works, worms. Bookmark the permalink. Sounds like a peaceful day.